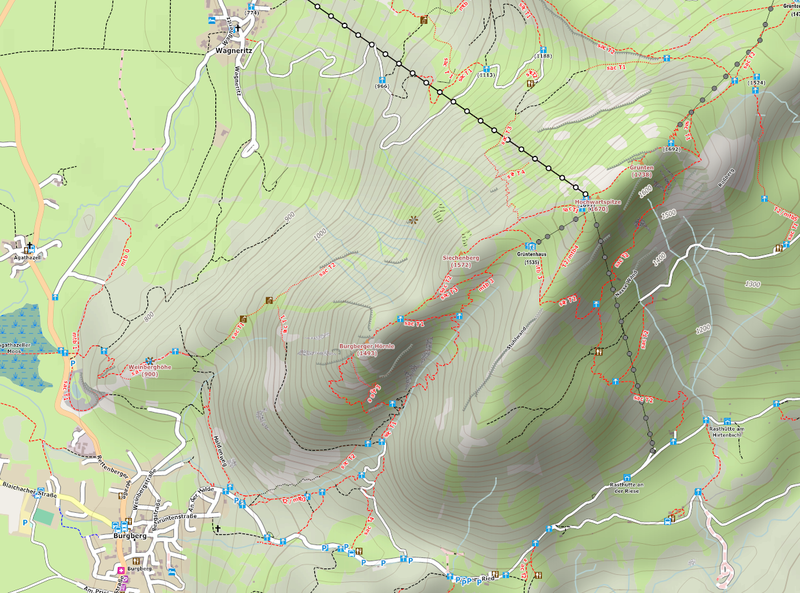 4UMaps are topographic outdoor, hike and mountain bike maps based on OpenStreetmap data. The map contains everything you need for any kind of back country activity like hiking, mountain biking, cycling, climbing etc. 4UMaps has elevation lines, hill shading, peak height and name, streets, ways, tracks and trails, as well as springs, supermarkets, restaurants, hotels, shelters etc. The render style is optimized for a high contrast level to be used for outdoor navigation with outdoor devices like Smartphones, Garmins etc. 4UMaps are device independent, and can be used on any device that can display raster maps. If you want to help to improve the map and you want to add missing ways/features in your area, join the OpenStreetMap project.